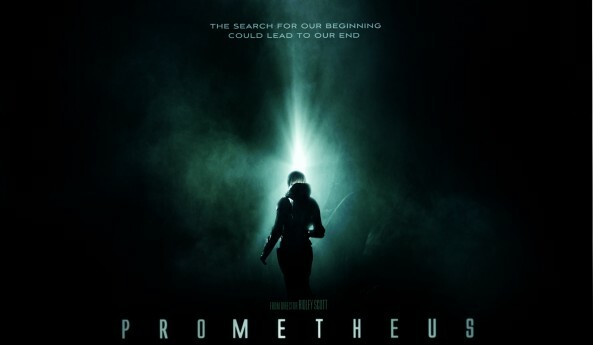 What is clear though is that as well as, like Alien, taking terror off terra firma and out among the stars, Prometheus is a voyage into our origins as humans, and where we fit into the cosmic order. That’s if there is one to fit into, be it with aliens, gods, or alien gods. Scott describes it as “not just a scary movie but a really interesting evolutionary story”. Doubly scary then, given that some people seem to find anything “evolutionary” more alarming than a xenomorph bursting out of your stomach. Cooper observes the scientific story casts humans as simply part of a large cast of 9 million other species. This apparently fuels our appetite for human-centered “creation myths” which he attributes to make believe and describes them as strange. Thus, the final option for the explanation of life is one of extra-terrestrial intervention, popular among science fiction films as Cooper shows. Far from solving the problem, the alien-seeding (akin to panspermia) merely relocates the origin of life question to different environments much more difficult to observe than our own planet. Mark Dever: God has made promises to bring His people to Himself and He is fulfilling them all through Christ. Kevin DeYoung: A holy God sends his righteous Son to die for unrighteous sinners so we can be holy and live happily with God forever. John Frame:God glorifies himself in the redemption of sinners. In this way, the Christian story of us offers neither the human-centeredness of creation myths nor the accidental casting choices of chance but the grand story of a loving God and a wayward people.